In March 2018, the Estonian parliament ratified an agreement with Luxembourg to establish a “data embassy” to safeguard critical databases in a secure centre overseas (see Technical Attacks). Estonia’s e-governance infrastructure suffered one of its first challenges in the fall of 2017, when a chip malfunction that could lead to potential security breaches was discovered in government-issued ID cards. The government recalled security certificates for more than 760,000 ID cards, which made their electronic use impossible until the certificates had been renewed (see Technical Attacks). Local elections in October 2017 did not reveal major changes to the political landscape in Estonia. All major parties support freedom of expression and internet freedom, as well as main aspects of e-governance (see Legal Environment). The widespread use of information and communication technologies (ICTs) across society has broad political and popular support. Local elections in October 2017 were conducted smoothly and without major incidents. All major political parties support internet freedom, freedom of expression, and freedom of information. Estonia continues to be one of the most connected countries in the world with regard to internet access, and Estonian internet users face very few obstacles when it comes to accessing the internet. Estonia’s high level of mobile phone penetration reflects the widespread use of internet-enabled mobile devices. Companies are increasingly offering bundled packages that combine broadband with other services like television at attractive prices.10 The abolition of roaming charges in the EU in June 2017 has led to new price packages for telephone and internet service, although changes have been minimal so far. There were no government-imposed restrictions or disruptions to internet access during the reporting period. The Estonian Electronic Communications Act was amended in 2014 to develop and promote a free market and fair competition in electronic communications services.16 There were no substantive changes in the ICT market during the reporting period. The main regulatory bodies for the ICT sector are the TRA and the Competition Authority. Both entities have a reputation for professionalism and independence. There have been no reported cases of undue interference in the telecommunications sector or abuse of power by these regulatory bodies. 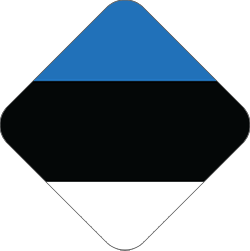 The Estonian Internet Foundation was established in 2009 to manage Estonia’s top level domain, “.ee,” and is a member of the Council of European National Top Level Domain Registries (CENTR).18 The organization represents a broad group of stakeholders in the Estonian internet community and has succeeded in overseeing various internet governance issues. In recent years, domain registration fees and annual fees have decreased, and limitations on the number of domains per user have been scrapped. No significant changes to regulatory bodies took place during the reporting period. Estonians have access to a wide range of content online, and very few resources are blocked or filtered by the government. Following court rulings on intermediary liability for third-party comments, some Estonian media outlets have modified their policies regarding commenting on their portals. There are very few restrictions on internet content and communications in Estonia. The Gambling Act, one of the few laws that imposes content restrictions, requires all domestic and foreign gambling sites to obtain a special license or face access restrictions.19 As of January 2018, the Estonian Tax and Customs Board had more than 1,300 websites on its list of illegal online gambling sites that Estonian ISPs are required to block.20 The list of blocked sites is transparent and available to the public. There have been some instances of content removal related to online communications. Most of these cases involve civil court orders to remove reader comments deemed inappropriate or libelous from online news sites. Comments are also sometimes removed from online discussion forums and other sites. Generally, users are informed about the privacy policies and rules for commenting on websites. Most popular websites have a code of conduct for the responsible and ethical use of their services and have enforcement policies in place. Some major news sites have limited anonymous commenting on their articles. In June 2015, the Grand Chamber of the European Court of Human Rights (ECHR) upheld a controversial 2009 Estonian Supreme Court decision establishing intermediary liability over third-party defamatory comments on internet news portals.21 The Grand Chamber confirmed that holding intermediaries responsible for third-party content published on their website or forum is not against Article 10 of the European Convention on Human Rights guaranteeing freedom of expression. YouTube, Facebook, Twitter, LinkedIn, and many other international video-sharing and social-networking sites are widely available and popular. Estonians use the internet for uploading and sharing original content such as photographs, music, and text, more than the average in the EU.22 There was no evidence of increased restrictions on content or of self-censorship during the reporting period, and online debates are active and open. Social media use in Estonia is widespread, and Estonians often make use of such sites to share news and information, as well as generate public discussion about current political debates. There were no instances of restrictions on the use of social media or other media in political campaigns. Freedom of speech and freedom of expression are protected by Estonia’s constitution and by the country’s obligations as a member state of the European Union. Anonymity is unrestricted, and there have been extensive public discussions on anonymity and the respectful use of the internet. Internet access at public access points can be obtained without prior registration. Over the past few years, the government has succeeded in reducing the number and severity of cyberattacks against its infrastructure. There were no cases of prosecutions or detentions for legitimate online activities during the coverage period. Estonia has strong privacy protections for its citizens. The Data Protection Inspectorate (DPI) is the supervisory authority for the Personal Data Protection Act (PDPA), in force since 2008.40 In addition, the chancellor of justice (ombudsman) can make suggestions regarding data protection. The PDPA was replaced by the EU GDPR after it entered into force in May 2018.41 GDPR gives individuals strengthened control over how and by whom their personal data is stored. To supplement the GDPR and harmonize it with Estonian law, a new data protection bill was presented to parliament in November 2017, but it had not yet been passed.42 The bill provides details on how to meet the requirements of the GDPR as well as rules on possible exceptions, such as instances when personal data can be used by the media if it is in the public interest. The Electronic Communications Act contains a number of provisions on protection of personal data for communications providers. 43 Data retention practices established under the Electronic Communications Act, which aligned with EU legislation, were cast into doubt by the CJEU in April 2014, when the court found the European Data Retention Directive (2006/24/EC) to be invalid.44 In Estonia, a data retention principle remains in the law (Article 111), with various restrictions on how the data can be stored and used. Data shall be kept for one year, unless there are special circumstances determined by the government that justify keeping it longer, such as maintaining public order and national safety. Article 112 regulates how requests by law enforcement authorities should be made. Requests are kept for two years. There have been no physical attacks against bloggers or online journalists in Estonia, though online discussions are sometimes inflammatory. 21 European Court of Human Rights, Case of Delfi AS v. Estonia, Judgement, June 16, 2015. 23 See: https://www.similarweb.com/top-websites/estonia, accessed 10 May 2018. 25 The yearbook of the Estonian Internal Security Service (KAPO), p. 9. 29 A public-key infrastructure (PKI) is a system for the creation, storage, and distribution of digital certificates, which are used to verify that a particular public key belongs to a certain entity. The PKI creates digital certificates that map public keys to entities, securely stores these certificates in a central repository, and revokes them if needed. 31 See the web portal for the ID-card system, http://id.ee/?lang=en. 33 Constitution of the Republic of Estonia, June 28, 1992. 35 The amended Penal Code was adopted in 2001 and entered into force in 2002. 38 Regulation 1215/2012 on jurisdiction and the recognition and enforcement of judgments in civil and commercial matters. 39 Judgement of the Court 17 October 2017 in Case C-194/16 Bolagsupplysningen OÜ and Ingrid Ilsjan v. Svensk Bolagsuppkysning AB. Available at https://curia.europa.eu. 44 The ECJ court ruling pertained to the cases Digital Rights Ireland Ltd (C-293/12) and Kärntner Landesregierung (C-594/12) and is available at http://bit.ly/1yF25p3.